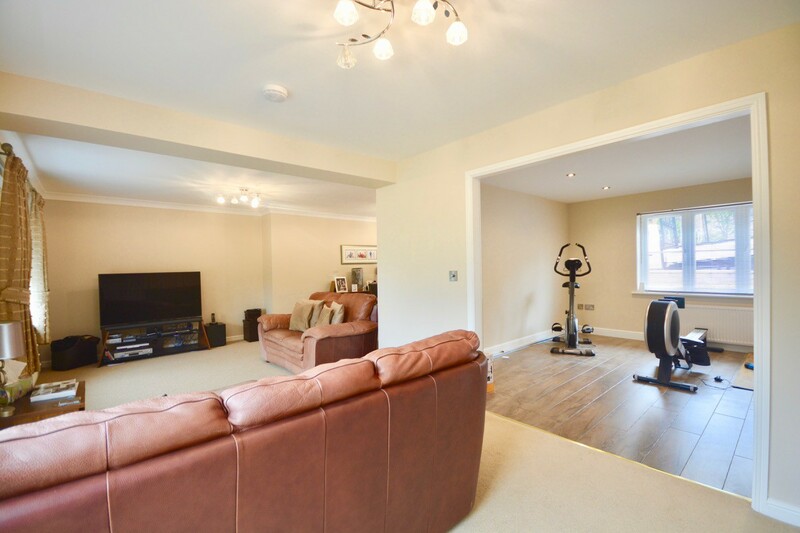 This most spacious, detached home enjoys flexible accommodation set over three floors and located in an enviable position on this sought after McLeans Homes development in the desirable village of Silkstone Common. An executive family style property which enjoys well planned, flexible accommodation with stylish and contemporary fitments, with particular features being the living room balcony overlooking the superb rear garden, with open aspect beyond, and the recently upgraded, high specification master bedroom en-suite. 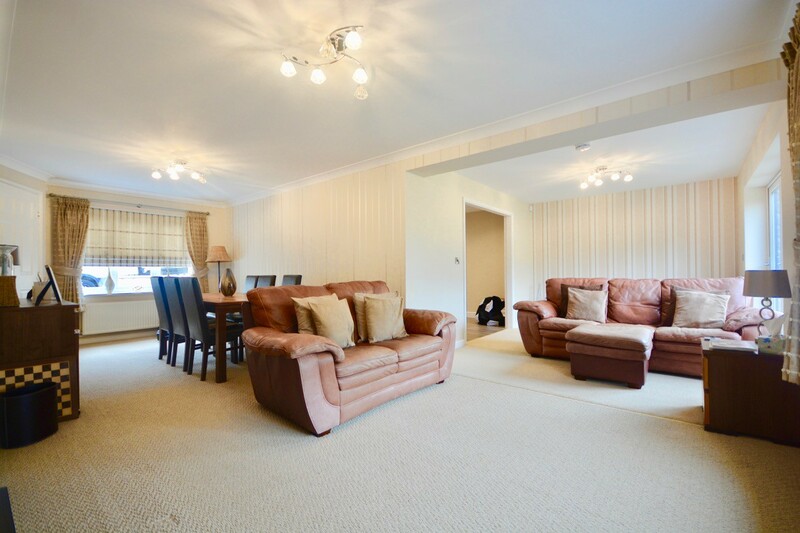 There are four reception rooms, including a superb open plan living, dining and kitchen to the lower ground floor opening out to the garden with games/garden room; and a further living room, sitting room/playroom and study/bedroom five to the first floor. There are four/five bedrooms, with two having their own en-suite facilities and two sharing a Jack and Jill en-suite, in addition to a dressing room and Juliet balcony to the master. Externally, to the front of the property is a double driveway, providing access to an integral single garage, whilst at the rear is a fully and privately enclosed garden with patio seating areas, raised deck and principal lawn. 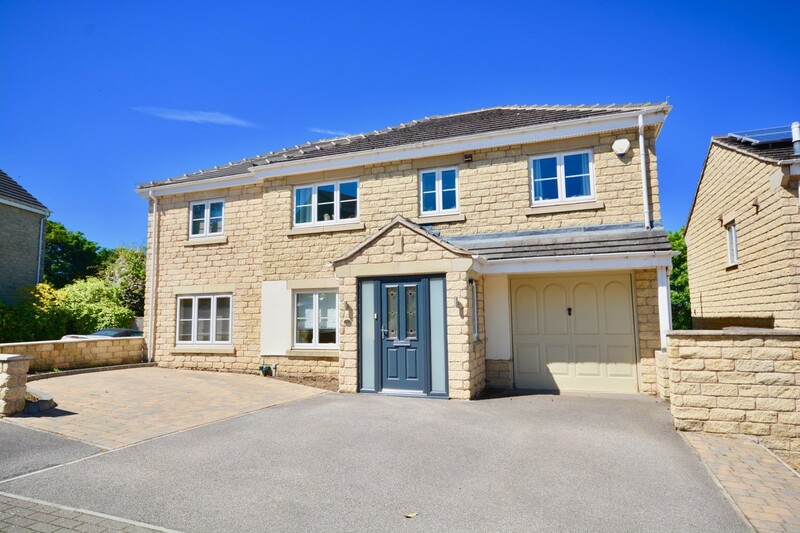 Located in the ever-popular, semi-rural village of Silkstone Common, which is served by its own amenities, including a highly regarded primary school as well as being well positioned with convenient access provided to the M1 Motorway at J37 as well as being within walking distance of open countryside. A double glazed entrance door opens into an entrance vestibule, which in turns provides access to the entrance hall. Having staircases rising to the first floor and descending to the lower ground floor. There is a cloaks cupboard and access provided to the garage. Fitted with a low flush wc and wash hand basin. Having complementary tiling and double glazed window. 8’4 x 8’0 A rear facing room having a double glazed window. 24’7 x 24’5 (10’0 minimum) An L shaped reception room having living and dining spaces, two double glazed windows and bi-folding doors leading out to a rear balcony. 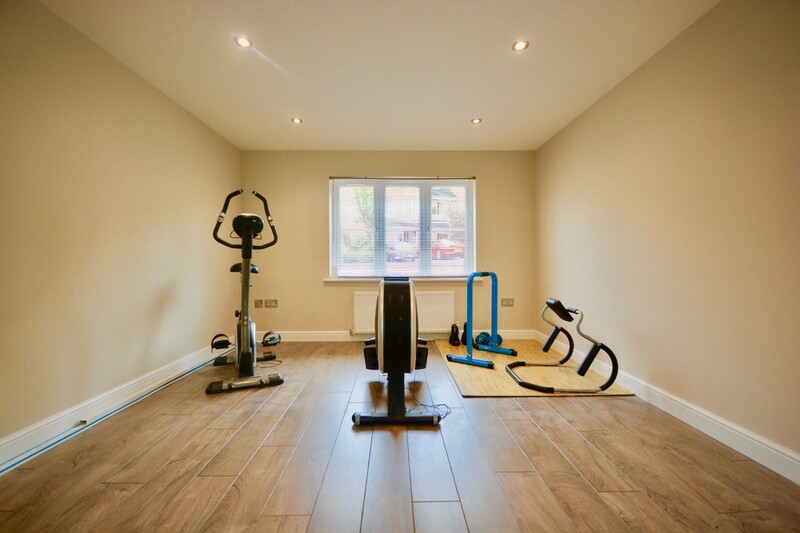 12’11 x 11’9 A front facing reception room currently utilised as a home gymnasium. The lower ground floor hall has two built in storage cupboards. 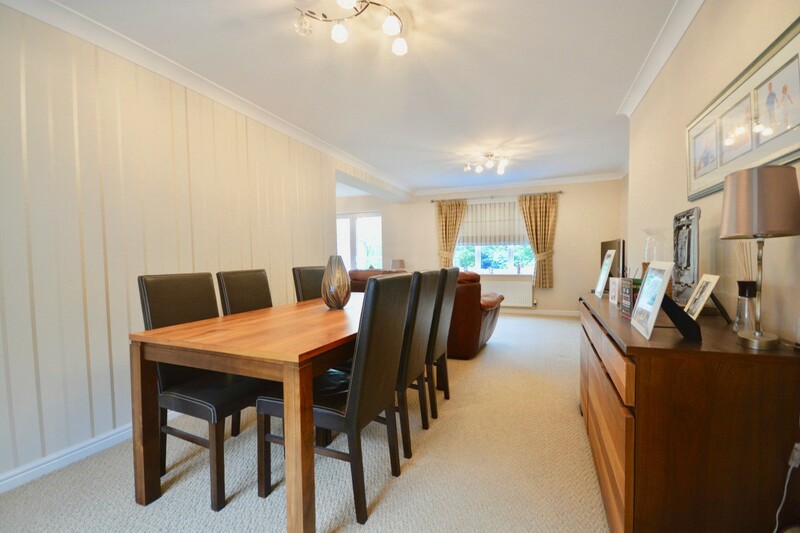 25’5 x 24’2 x 9’11 plus a further 17’7 x 8’5 A spacious U shaped family space having ample living and dining areas in addition to the fitted kitchen. There are two sets of upvc French doors to the rear and double glazed window. The kitchen is fitted with a range of base and wall mounted units having complementary work top surfaces above with tiled splash back and incorporating a single drainer sink unit. There is an integrated oven with hob and extractor hood above plus plumbing and space for further appliances. 21’6 x 10’10 An external reception room having upvc bi-folding doors to the garden. Providing access to the loft space and airing cupboard housing the hot water cylinder. 15’8 x 12’7 Formed by the side extension and having upvc French doors with Juliet balony. Access is provided to the dressing room and en-suite shower room. 11’9 x 7’3 Having a double glazed window to the front. Fitted with a high specification cotemporary suite comprising a step in shower ad vanity unit incorporating a wc and wash hand basin. Being fully tiled and having a double glazed window. 13’6 x 10’1 A front facing bedroom having a double glazed window and fitted wardrobes. Access is provided to the en-suite shower room. Fitted with a shower cubicle having a thermostatic shower, push button wc and wash hand basin. Having complementary tiling and double glazed window. 10’11 x 10’2 A rear facing bedroom having a double glazed window and fitted wardrobes. Access is provided to the Jack & Jill en-suite shower room. Fitted with a shower cubicle, push button wc and wash hand basin. Having complementary tiling and double glazed window. 10’10 x 9’0 A front facing bedroom having a double glazed window and fitted wardrobes. Access is provided to the Jack & Jill en-suite shower room. Fitted with a corner bath, low flush wc and pedestal wash hand basin. Having complementary tiling and double glazed window. To the front of the property is a double driveway, providing access to an integral single garage, whilst at the rear is a fully and privately enclosed garden with patio seating areas, raised deck and principal lawn. 16’7 x 8’5 An integral single garage housing the gas fired boiler.